At the URL above, click the Download link on the left to download IrfanView and click the PlugIns link on the left to download the PlugIns, which are needed to give you PDF capability. Installing the PlugIns is optional – required only if you want PDF support (and the other features that come with the PlugIns). Install IrfanView first, then install the PlugIns. Although I recommend adding the PlugIns to get PDF support, that's for general, future usage. For this situation, you don't need them, unless your scanned signature is in a PDF file, in which case you do need them. 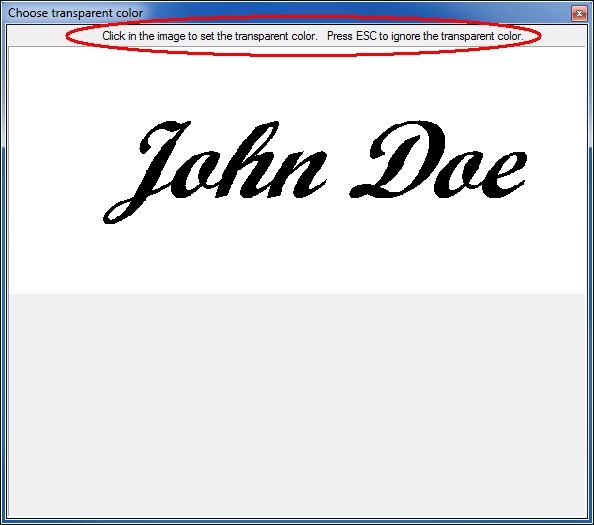 (1) Run IrfanView and open the file that has your scanned signature. (6) I have experimented with various settings in the PNG section of the save options dialog, and I recommend the settings shown in the screenshot above. In particular, Compression level 1, which makes the file larger (but still a reasonable size) and the quality higher, is a good idea for a signature (Compression level 0, i.e. no compression, results in a very large file). Also, I've had success using the transparent signature in more products when Save Transparency as Alpha channel is ticked. So click the mouse on the white background (this assumes, of course, that your scanned signature is dark ink on white paper). After you click the white area, it will be transparent! (8) Exit IrfanView. The PNG file saved in the step above now has your signature with transparent background. Happy document signing – without having to print it, sign it in ink, and then scan it back in.